Stars Model Management: MODEL SEARCH: We are looking for the next new face! MODEL SEARCH: We are looking for the next new face! We are looking for our next new face! 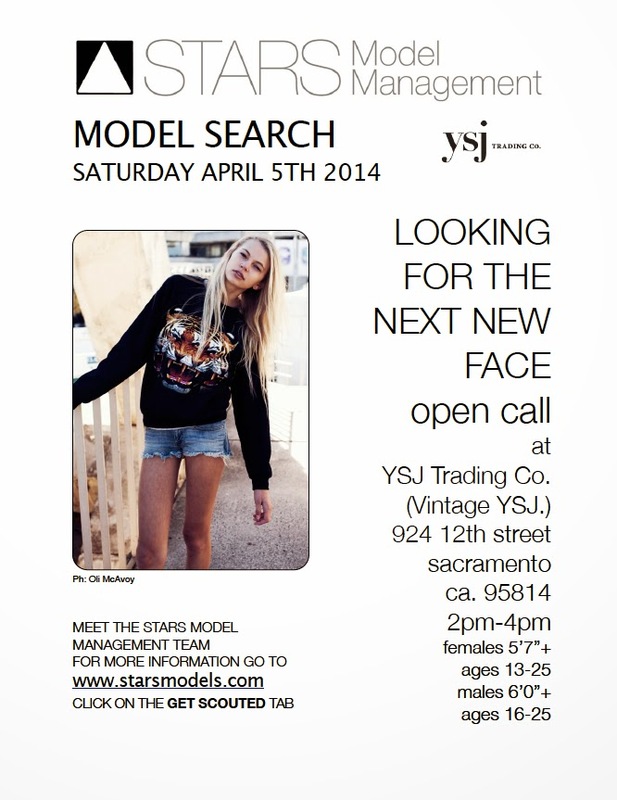 YSJ Trading Co. (Vintage YSJ) in Sacramento on Saturday April 5th 2-4pm . and click on the “get scouted” tab. Labels: male model, Model search, models, New Faces, Stars Model Management, Stars Models, YSJ Trading Co.